I have been ingesting and massaging my skin with Virgin Coconut Oil (VCO), for the past 6 months. I warm it up in tea, use it in cooking. I have been suffering and in lots of pain, for many years. The results that I have had with VCO have been astounding. I have had Stage 4 – Endometriosis, low grade sinus infections, internal parasites, super dry skin, cold sores, colds, fevers, ear aches, migraines, dental infections and spider veins, since my early teens. Over the past six months, my low grade sinus infections have 100% cleared. The last cold sore I had, was huge! I put VCO directly on the sore. It grew in size, until it was huge, painful and messy. Three days later, it was gone! GONE! My spider veins are diminishing in size and color. The knottiness, the pain and swellings, are gone. I had Keratosis Pilar, on my arm. I have been massaging VCO on them for two weeks. They popped off the other day. Bled profusely for five minutes, then stopped. Now, there is a tiny red dot, and the under swelling is gone. [T]he biggest (visible) change is the 30 pound weight loss, without exercise or struggle. 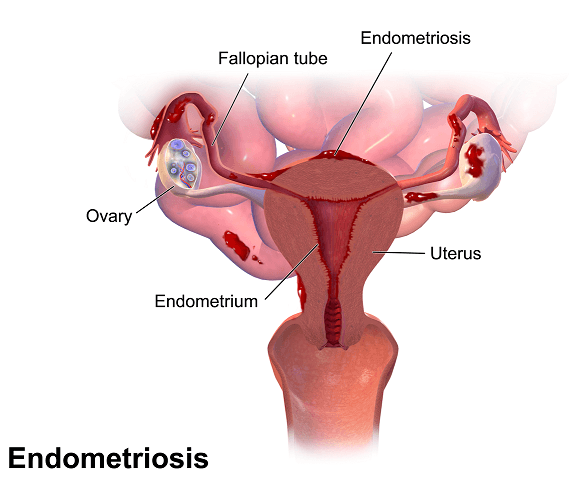 And even more miraculous, I had ENDOMETRIOSIS, since early teens, with all sorts of pain and distress. I had low grade – persistent, Endo at the base of my spine. It had encircled my entire spine base, and was so sore and throbbed constantly. Retrograde Endometriosis, five surgeries, hysterectomy and pain meds, and, more surgeries. About two weeks ago, my back and pelvis were in deep pain, again. I took a hot bath, pain pills and off to bed. My lower abdomen, felt awful. I fell asleep, and when I woke up it felt like something was falling away from inside my pelvis. The Retrograde Endometriosis, is now gone. To have the adhesions (considered to be Endometrial – “Scar Tissue”), which wraps itself around nerves, and suffocates internal organs, is invasive similar to Cancer. However, the Endometriosis cells, are alive (like Cancer), and grow everywhere inside a woman’s body (like Cancer), but they are NOT malignant. The immune cells consider the Endo cells to be a “foreign body”, so the Immune system attacks the Endo cells. As you can imagine, this is a very damaging, very invasive, deeply painful process, for any woman. Hysterectomy, is the ONLY answer, and the Endo cells can only be removed to a certain point. To find a natural, plant based product, which can eliminate or reduce the Endometriosis from a human body, without drugs or surgery, is a miracle! I would have never believed you, if you told me that VCO, with 6 months of ingestion would make me pelvic pain free!! I have only good words, to say about VCO and its amazing life changing abilities. After six months of VCO ingestion, I am pelvic pain free. Without drugs, more surgery or even a surgical review. I have NOT been pelvic pain free, since I was about 10 years old. I am PAIN FREE, right now.